Win an Amazon Gift Card. Up to $50 in prizes! I recently hosted a giveaway from Michael Robb for The Butcher's Boy and got myself a copy as well! I started the book and was instantly drawn into the story. The Butcher's Boy is the perfect mixture of paranormal, horror, mystery and gore. It grabbed me from the very beginning and held on until I reluctantly read the last pages of the book. The story is told from several points of view of the different characters but the flow between them was done very well and felt perfectly natural as I was pulled along. I definitely recommend this book! Thirty-one years ago, "Buxly the Butcher" went to trial for killing his entire family. Now Janet, a newly divorced nurse, has unknowingly purchased the house where it all took place. What happens when her eleven year old son and their overprotective Rottweiler learn that their home is haunted by the victims of that grizzly act? Can young Michael fight through the madness and terror to figure out what really happened so long ago? If he does, maybe the tormented souls can be put to rest. If he fails, he just might become one of them. With only the help of his babysitter, a burned out house painter, and his dog, Lucy Fur, Michael is about to try. The problem is, not everyone is who they seem, even the dead. ***Content Warning: This IS NOT the over-gory sort of thrasher-horror novel, but it does touch on some unsettling subject matter and should not be read by children under the age of 17. Our family is lucky to have so many birthdays in December! I get to take today to wish another one of my all time favorite people a Happy Birthday! I want to wish a Happy Happy Birthday to JIM. I love you so much - you don't even know. I hope you have a WONDERFUL birthday. You are one of the best people I have ever had the pleasure to know and I'm proud to call you "mine"! Love you and Happy Birthday! Description: New York in the 1920's is the world of Prohibition, speakeasies and an underground run by the underworld. Vampires and mobsters vie for power in the seedy underbelly of Manhattan. A mysterious accident sends Professor Simon Cross and his assistant, Elizabeth West back in time to face demons real and imagined. Simon Cross has spent his life searching for vampires and now that he’s found one, it just might take from him the only woman he’s ever loved. Simon’s life has been a ritual of research into the occult and stoic solitude. He prefers it that way. Until he meets Elizabeth West. A gambler’s daughter, Elizabeth knows a bluff when she sees one. Behind Simon’s icy glares and nearly impenetrable armor beats the heart of a man in desperate need of love. Trials of murder, intrigue and danger push Simon and Elizabeth to the edge of sanity. Out of Time is an award-winning tale of love and redemption. 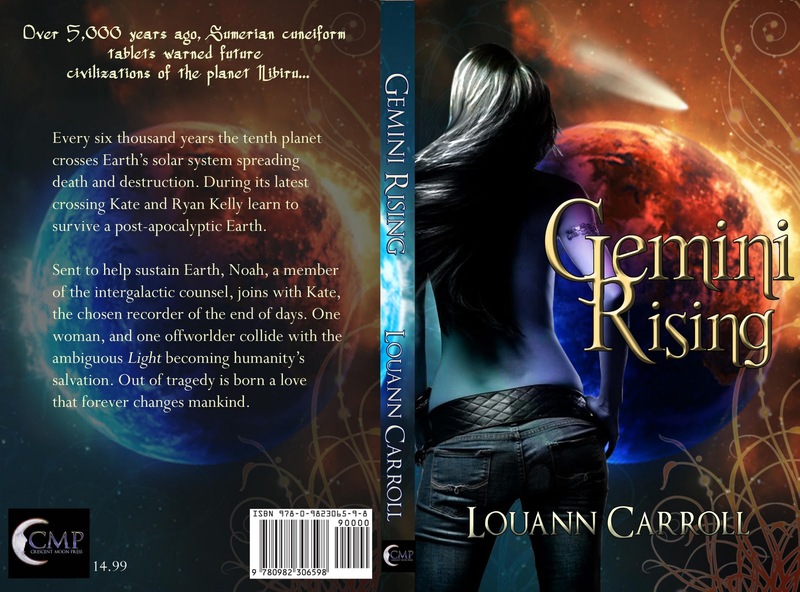 Fans of vampire stories, detective fiction and sci fi will love this taut, time-crossing, fantasy thriller. There is a great sexual chemistry between the story's Indiana Jones-meets-Dr. Who protagonist and his lady love and fellow adventurer as they battle a sinister vampire crime boss while struggling to meet a tight deadline--their only chance to return to their own time from which they were suddenly and unexpectedly catapulted. A fast paced adrenaline ride with twists and turns and snappy dialogue told with wit and verve. Click the link below for your copy! I am going to take some time today to post a HAPPY BIRTHDAY to one of my favorite people in the whole wide world. ROB - Happy Birthday! I hope you have a wonderful day and the next year of your life is absolutely wonderful. Full of new experiences and joys. I will be bringing cake (or something) hopefully. You know how lazy I get; especially since I got a new game for my computer. I might get distracted. It's the thought that counts, right? Yeah, not always! Kindle Author has started something called #Sample Sunday on twitter for authors to get samples out there and for readers to get an idea of what they might like to read. I thought I'd give it a go with a sample of Color Me Grey . In this excerpt, Alex is in the middle of "survival training" and has to find food on her own. I mapped out the area even though it was in vain. Mr. Black had said we were going to move camp today, but I figured it was good practice. Earlier that day I had sat and messed around with my wristband and had found it had a compass. I imagine that I should have thought of this before. It was a GPS device after all. I used my wristband to remember landmarks. At such and such latitude and longitude I would find the meadow, then there was a small creek off in another direction. I found we were on the top of a hill that had a sharp drop in a different direction from camp. I didn’t go too far out from camp but I got further out than I had when setting up my traps. I periodically returned to camp to see if Mr. Black had returned and was ready to move to another location. Each time I returned there was no change at camp. I worked my way back to the little creek I had found. Fish wasn’t my favorite, but they might be easier to catch. Never had I gone fishing before, but had been forced to watch a few shows on the television. What was with men and fishing? Anyway, the concept was simple. I would try my luck at fishing today. While I walked to the stream I considered how I might catch a fish. I knew in normal life people used fishing poles with hooks on the ends. How could I make a fishing pole? I found several sticks on the way to the stream that I thought might get the job done. My mind kept wandering toward a picture of a small boy sitting on the edge of a river with a stick and line hanging from it, waiting for a fish to bite. By the time I reached the creek I had an armload of sticks. I chose the one I thought might be the strongest and then pulled off one of my shoelaces. I tied it to the end of the stick and thought about what I might use for a hook. Finally the only thing I could come up with was trying to carve myself one with my knife. I got down to business and quickly found it was nearly impossible to carve a hook. I could get a toothpick type thing carved but not a hook. They kept coming out looking like miniature spears. Spears. Then I got another idea. I wouldn’t even need to carve a hook I could maybe spear myself a fish. This required me to see a fish though. I took my shoelace that was tied to the end of the stick and used it to tie my knife onto the end of the stick. Then I got up and snuck around the banks of the stream. It didn’t take long before I saw a fish. I had kept low and was being quiet. I remembered seeing on a fishing show how fish can see you better from the water than you can see them. I slowed, stood my entire height and threw the spear I had fashioned at the fish. I missed but I managed to make a big splash. This I knew had probably scared fish away for miles in each direction. I had to wade out to retrieve my spear. Thank goodness the creek wasn’t more than waist deep. As I waded through the water I tried not to kick up too much dirt. If I muddied the water I wouldn’t be able to see anything. I looked into the water in search of fish to skewer once I reclaimed my spear. I saw one just as it darted under the edge of a rock. I stood still in the middle of the creek for several hours and tried my luck numerous times. My legs were getting numb and my teeth were chattering before I decided to exit the freezing water. I took a walk up the creek to see if there was a more shallow area I could try. It wasn’t long before I found a spot that only reached my knees. I trudged in and tried my luck again. This went on until it was close to getting dark. I better get something soon or I would go without dinner again tonight. I saw a nice sized fish, aimed and threw my spear. I missed and watched the fish dart under a nearby rock. I ran to the spot where the fish was hiding and plunged my hand under the rock after him. He swam away from me but I had touched him. This was a new concept. I began slowly and methodically feeling under rocks. About every third or fourth rock I would feel something and then see a fish dart away. I just had to be faster. I lowered my hand back into the water and started feeling around a new rock. Ah-ha! I pushed my hand up against the rock from the bottom, trying to pin the fish so I could get a grip. I got it! I actually said this out loud. It wasn’t very big and I started to close my grip. As my fingers closed around my fish I felt a sharp pain in my hand. Instinctively I pulled my hand toward my body and hanging from it was a snake! I jumped up and down and screamed, “SNAKE! SNAKE! SNAKE!” Then I shook my hand and arm violently. The snake didn’t loosen its grip. Finally I calmed down enough to try and pry the snakes’ fangs away from my hand. It had a hold of me right at the base of my thumb. I wondered if it was poisonous. I couldn’t get it off! I had somehow gotten myself back to shore and was standing near my spear. I reached down and picked it up and sliced the snake in two. Its head was still hanging onto my hand and there was a lot of blood. I made myself calm down and I took my finger and thumb and pushed them into either side of the snake’s mouth and was able to finally get it off me. I threw it down and stomped on it a few times. Then I reached down to inspect it with my spear. In my effort of prying I had noticed its fangs had been more to the back of its mouth and thought that was a good sign. If the fangs were in the front of the mouth it was probably poisonous, but if they were in the back of the mouth, they were meant to hold on, not to inject venom. I did a double check by physically picking it up and opening its mouth and didn’t find any vampire like fangs in the front. Maybe it might not be a bad idea to take it back to camp to see if Mr. Black knew what kind of snake it was. Maybe he had some anti- venom in his pack. I picked up the dead snake parts and my spear and tromped back to camp. Mr. Black was nowhere to be seen. I sat down and tried to regulate my breathing. I remembered hearing that if you got excited it would just make the venom move faster through your blood stream. I looked down at my injured thumb to see if it had turned black like the pictures I had seen of rattlesnake bites. It wasn’t black but there was a huge gash right underneath where I had cut the snake in two. I must have cut myself with the knife. It was still bleeding and all the blood when I cut the snake must have been mine. Great. Now what? Not only am I going to die of snakebite, I might actually die from blood loss too. I started to feel light headed. “Knock it off,” I told myself out loud. Quit acting like a girl, I thought internally. Okay, the snake had bitten me close to half an hour ago; if it had been poisonous it would probably have kicked in by now. I hoped. Now I just had to figure out what to do with my hand. It was still bleeding heavily. I sat and looked at it. I needed stitches, that was obvious. How was I going to get stitches out here though? I pushed the cut together and that helped slow the bleeding. I had to do something. I rummaged through my pack and found a book that I hadn’t put in there. It was titled Herbal Remedies. Mr. Black must have put that inside. I skimmed through it quickly to see if there was anything about snakebites, but there wasn’t so I put it down and continued my search. I didn’t find anything else that seemed of use in my pack. The knife Mr. Black had given me was a survival knife; maybe I would find something there. I started to play with the knife and found a spot on top that unscrewed. I opened it and low and behold there was a little baggie in there with some sort of plastic line and a FISHING HOOK. No needles though. I was so furious at myself for not snooping before. I had thought curiosity would get me into trouble one day, but never thought it could have prevented disaster. I knew I had to sew up my hand, but I wanted to wait for Mr. Black. I was hungry, and tired and I was freezing because I was still soaking wet. I tried to start the fire because it was getting close to dusk. I finally got it lit and Mr. Black still wasn’t back. I supposed I better try to sew myself up. I tied some of the fishing line to the hook and proceeded to sew. I had never liked to sew, but this was even worse. When I had first touched the sharp end of the hook to my hand I thought it would hurt too much for me to go through with it, but my wound was numb. At least it was on the outside. If I tried to go too deep it hurt like hell. I caught myself a couple of times with my other hand because I had touched a sensitive spot and it made me almost pass out. I finished sewing up the cut and tied a knot at the end of the line. I used the knife to cut the plastic line and was pretty impressed with myself. It wasn’t too straight, but the bleeding had almost stopped and I hadn’t died because of poisoning either. It was completely dark around my campfire now. I got up and quickly changed my clothes. They had almost dried completely except around the seams but I didn’t want to be covered in blood anymore. I looked at the snake lying on the ground and my stomach rumbled. “No,” I said and laid out my bedroll. Then I sat down on it and waited for Mr. Black to reappear. He had said we were going to move camp today, didn’t he? I wondered why he wasn’t back. I hoped he hadn’t gotten hurt. I worried about him a bit to keep my mind off the snake that had almost killed me. Every once in a while I was hit with a feeling of panic because I wasn’t totally convinced it hadn’t been poisonous. I thought of eating it again but decided against it, partly because I wanted to show it to Mr. Black but mostly because I didn’t want to eat snake. I want to take this moment to thank Michael Robb for allowing me to give away copies of The Butcher's Boy. It's time to announce the winners for The Butcher's Boy copies. Since there were only four entrants I will be gifting to all four! I have already gifted the books so CHECK YOUR EMAILS! Now I'm off to buy MY copy! For anyone else who'd like a copy you'll find the description and links to The Butcher's Boy below. What happens when a newly divorced mother, her eleven year old son, and their overprotective Rottweiler move into a house that is haunted by the victims of a long ago grizzly murder? Can young Michael fight through the madness and terror to figure out what happened so long ago? If he does, maybe the tormented souls can be put to rest. If he fails, he just might become one of them.With only the help of his babysitter, a burned out house painter, and his dog Lucy Fur, Michael is about to try. The problem is, not everyone is who they seem, even the dead. 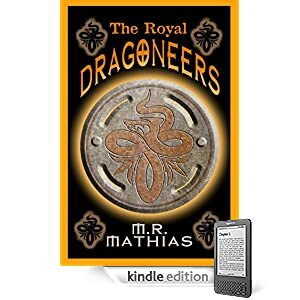 The Sword and the Dragon & The Royal Dragoneers have taken on a life of their own as masterworks in the fantasy genre. Michael's newest release, The Butcher's Boy, is not a fantasy. It is a terrifying Haunted House/Murder-Mystery/Chiller. If you can't wait for Christmas you can purchase your copy now! Mr. Hamric is giving away a Kindle WiFi on December 31st! Actually, he's giving away a $139 Amazon gift card so you can buy your own Kindle from Amazon. 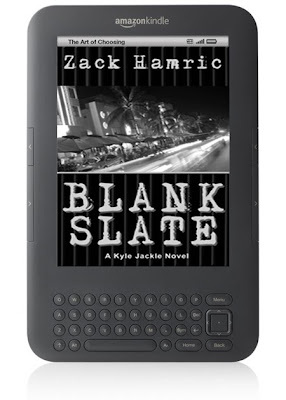 All you need to do is share his giveaway on Facebook (worth 1 entry), buy a copy of Blank Slate (worth 5 entries), buy a copy of Crescent Rising (worth 5 entries), then send him an email at: ZacharyHamric@hotmail.com to let him know of your entries. 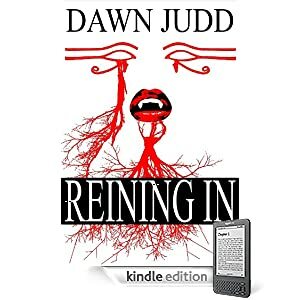 Go sign up for Breakout Books Reviews newsletter to be entered to win.Up next: I will be giving away 5 kindle copies of Reining In by Dawn Judd in next week's newsletter. If you haven't already subscribed to our newsletter, now is your chance. Don't miss out on our weekly sponsor giveaways and our montly giftcard drawings! 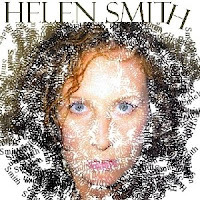 Until December 17th, Helen Smith is giving away 105 copies of 31 different e-books by 18 different authors. Check out her blog and get signed up to win! Unfortunately, I can only offer a Kindle copies of THE CHRONICLES OF MARR-NIA, but can arrange for an ePub version of TAKE THE MONKEYS AND RUN for Nook owners, if necessary. Just comment to this post (at Fiction For Dessert) that you would like to be entered for this giveaway - again, there will be two winners, two eBooks each! As always, thank you for following my blog and . . . THE HAPPIEST OF HOLIDAYS TO EVERYONE!!! Last chance to enter to win The Butcher's Boy by Michael Robb! Comment on this post or the original post to be entered to win one of three Kindle copies of The Butcher's Boy on Christmas Day! I need your email address so I can gift them to you. Enter the Holiday Reader's Raffle to win a $20 Amazon Gift Card! Purchase the heart-warming short story Shiny Green Shoes at either Amazon or Smashwords (only a buck!) and answer this question: What Shakespearean heroine did Aunt Peach consider to be her greatest role? Contest ends December 31, 2010. Winner to be pulled from my Christmas stocking! Jacob Cox is 18 and finds himself running his family's new business, a dilapidated bar in a forgotten seaside town. Jacob longs to escape his family of villains, liars and psychopaths. Could the bar be his last chance to make money and get away from everyone he despises? Is his family really that bad or is he actually worse than all of them put together? A screwball comedy about family. Meet Alexis Stanton, a 5' 4" petite young woman with a yen for adventure. She grew up as a tomboy wishing she could have all the adventures boys could have. She has since decided that being a boy instead of a girl has its advantages, but being a woman is much better. She finds that job she could "just die for"... and it looks like she just might! I've switched my Wednesday and Thursday posts this week. Yes, it was an accident. For some reason my days got confused. I do have a few things going on in the near future. Of course, we've got Christmas coming up! I'm getting more and more excited. I don't think there is a thing under the tree for me, but my husband brought home a Kitchenaid Mixer for me last week! What I'm most excited about are the kids! 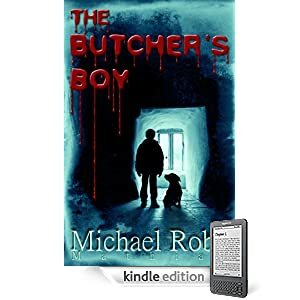 Also - Don't forget to enter for one of the three free Kindle copies of The Butcher's Boy by Michael Robb. I will announce and award the winners on Christmas Day. January should prove to be interesting. 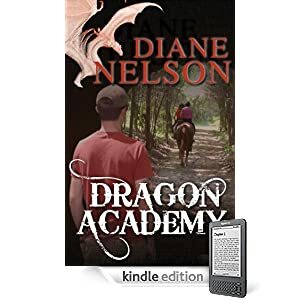 I get to host for several blog tours for authors, I have a blog tour for my own books coming up, a Kindle Nation Daily Sponsorship and a book signing. It's possible I may have a radio interview coming up as well. I hope the holiday season is safe and happy for everyone! Get out there and support an Indie author and give their books as gifts to the readers in your family. "The Cold Kiss is written by John Rector and in my opinion; you could just as easily mistake it for something written by Elmore Leonard. Yes, I think it’s that good. Nate and Sarah, who are pregnant, are a young couple on their way to Reno to get married and start a new life. On the way, they meet a sickly stranger who begs them for a ride. It’s not a tough decision since he offers them five hundred in cash. But things get worse from there as a snowstorm moves in, closes the road and they are forced to spend the night in a motel. Once there, Nate discovers that the man has died during the journey and that he has hundreds of thousands of dollars in his backpack. Nate is then forced to make several desperate decisions that pile up on him as the night drags on. Complicating matters, of course, are a handful of strangers in the same motel who are also waiting out the storm. So are you looking for something great to read? A Cold Kiss is what you should check out next. Trust me." Frank Zubek has a paranormal mystery series running on Kindle. Nick Crowell is a Cleveland Detective who had been shot in a cemetery several years ago. Since then, he encounters ghosts and people with paranormal problems. The problem is, that Crowell does all of this reluctantly, since he is no expert on the afterlife. This weighs on him throughout the series. 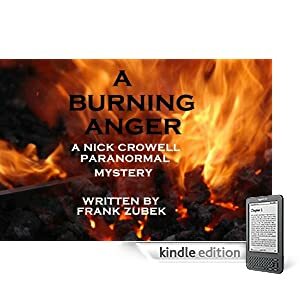 There is a collection of short stories featuring Crowell titled Empath: Horror Stories , as well as novella that was just released called, A Burning Anger . Frank plans four more novellas featuring Crowell, due in 2011. Interested in any of these books? The Hawk And His Boy is the first book of the Tormay trilogy. It begins with a young thief named Jute. There's nothing particularly special about him, other than a knack for being quiet and having quick hands. One night, his master in the Thieves Guild instructs him to break into a wizard's house and steal an old wooden box. They have a client for the job who is eager to pay a great deal of gold for the box. It should've been an easy job. Climb down the chimney, find the box, and get out fast. His master tells him, on pain of death, do not open the box. Of course, being a boy, Jute opens the box and sets off a chain of events that soon has him on the run from the wizard, the entire Thieves Guild, and their client, who happens to be the Lord of Darkness himself. On his odyssey of escape, Jute is aided by an odd assortment of friends, including a guilt-ridden assassin, an overly-talkative ghost, and a hawk who just might be able to teach him how to fly. But the Darkness will do anything to find Jute, even if it means plunging the whole land of Tormay into war. I live and write in central coast California. I've worked on six of the seven continents. I've done construction in the Amazon, relief work for the United Nations in Thailand, television documentaries in Australia, interactive animation production in Chicago, orphanage consulting in Ethiopia, and I've worked as a cook in Switzerland. Currently, I work on a farm. Lisa Winters has a problem. An entity she can't see has attacked her. Once at work and then again in her own bedroom! In desperation, she contacts Detective Nick Crowell, who has been known to handle such things. Trouble is, he has problems of his own. He has been having doubts about his job as he tackles a string of petty robberies in the neighborhood as well breaking in Jayleen Cole, his new partner. If that weren't enough- the entity attacks him next! Go sign up for Breakout Books Reviews newsletter to be entered to win a $10 Amazon gift card! 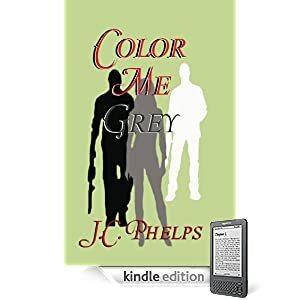 She is also offering five copies of Color Me Grey to newsletter subscribers! 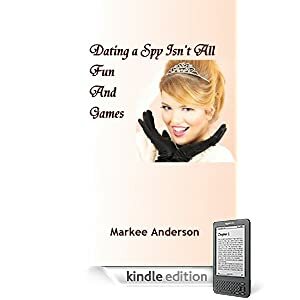 One copy in ebook form of Saved by the Glass Slipper and Dating a Spy Isn't All Fun and Games, by Markee Anderson to TWO LUCKY WINNERS. That's right, each winner will get a copy of each of those two ebooks and will be able to choose from either Kindle book or Smashwords ebooks. Haven't entered my Giveaway before? Easy as pie -- just comment to this post that you would like to be entered for a chance to win these great books. And if you leave an email address, I'll be able to contact you easier. If you don't want to leave an email address, you can still enter, just be sure to check back next Wednesday to see if you won!!! .... in a Portal Christmas stocking! To enter: leave a comment. Winner will be drawn by my daughter (doing it the old fashioned way and picking names from the stocking) on Sunday evening.